At Delray Beach Oriental Rug Cleaning Pros, our customers trust our team for all their oriental and specialty rug cleanings and repairs in Delray Beach, FL. Not all rugs are the same. They have different weaves and different dyes, which dictate how they are cleaned. We are able to adapt our cleaning process to ensure that each specific rug is brought back to its original beauty and its value protected. At Delray Beach Oriental Rug Cleaning Pros, cleaning a hand-woven rug is a multi-step process designed to maximize efficiency and effectiveness without compromising delicate dyes or weaves. First, there is a pre-cleaning inspection to determine pre-existing conditions, fiber content, colorfastness, cleaning concerns, and appropriate cleaning methods. Next comes Thorough dusting using mechanical beaters that will remove 10 times the amount of dry soil that is achieved through vacuuming, and thorough cleaning using a total immersion process designed to remove most types of soil. Then, we perform deodorization in an enzyme bath to address unpleasant odors from pet urine, smoke residue, or other sources. Finally, we move on to rinsing to eliminate detergent residue, which can cause re-soiling and fiber deterioration. Our final steps involve grooming to straighten the fringe, drying, and post-cleaning inspection. 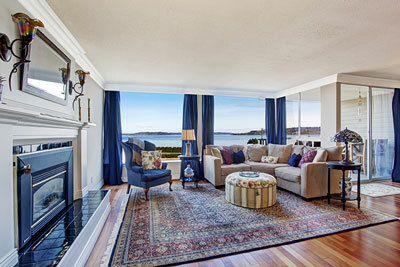 If you’re in need of expert Oriental rug cleaning, we’re the company to call. Our trained and certified team of cleaners and repair specialists can help you out with the tasks ranging from carpet and rug cleaning to repairs and pet stain and odor removal. Let us take care of your rug cleaning needs, giving you back your valuable time and peace of mind. 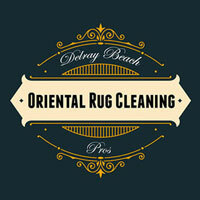 At Delray Beach Oriental Rug Cleaning Pros, our master-weavers specialize in oriental rug restoration at all levels. It doesn’t matter what condition your rug is in, whether your rug has: water, fire, or moth damage. If your rug requires re-sizing or needs repairs for holes, worn areas, rips, fringes, binding, or reweaving; just give us a call. In addition, we offer our 100% hand-washing process with organic shampoos and conditioners made special to maintain the life of your rugs. 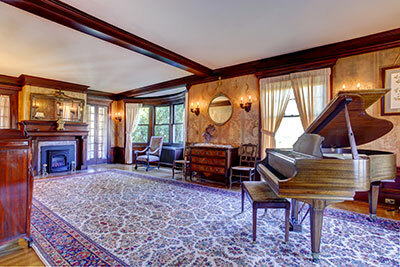 Our team also focuses on rug restoration. This can be accomplished by reweaving portions of the carpet, either the surface pile, or in the case of holes, the underlying foundation as well. Such restoration requires extreme technical skills and precision. This process requires expertise and also a refined eye to match the original texture of the rug, so that the repair isn’t detectable. Ultimately the greatest reward in repairing your antique rug, is knowing that a rare and beautiful work of art is being preserved for generations to come. Our staff is knowledgeable and competent in all aspects of restoration, having achieved their expertise through many years of training and experience. No job is too small or great for our weavers. Our goal is to safely and gently hand wash your rugs in order for them to maintain the style, beauty and luster. Our experts take such care to insure that the rugs we return to our clients are not only clean and sanitary, but also properly maintained to increased the lifespan of all your fine rugs.